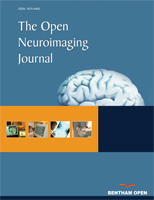 The Open Neuroimaging Journal is an Open Access online journal, which publishes research articles, reviews, and letters in all important areas of brain function, structure and organization including neuroimaging, neuroradiology, analysis methods, functional MRI acquisition and physics, brain mapping, macroscopic level of brain organization, computational modeling and analysis, structure-function and brain-behavior relationships, anatomy and physiology, psychiatric diseases and disorders of the nervous system, use of imaging to the understanding of brain pathology and brain abnormalities, cognition and aging, social neuroscience, sensorimotor processing, communication and learning. The Open Neuroimaging Journal, a peer-reviewed journal, is an important and reliable source of current information on important recent developments in the field. The emphasis will be on publishing quality papers rapidly and making them freely available to researchers worldwide.